On September 29, 2018, thousands of music lovers convened to celebrate Be Interactive and raise money for our future work. 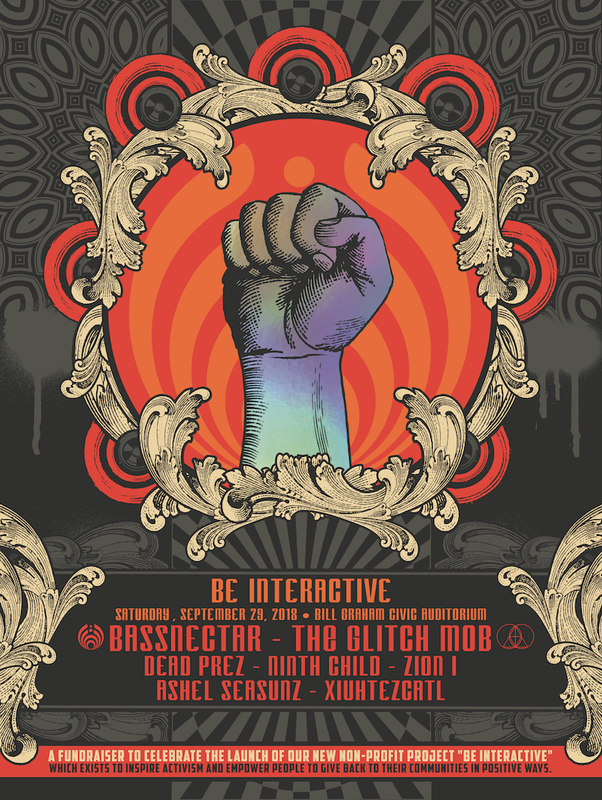 Selling out months in advance, this event at the Bill Graham Civic in San Francisco was unbeatable, with sets from The Glitch Mob, Dead Prez, Ninth Child, Zion I, Ashel Seasunz and Xiuhtezcatl, all of whom performed for free. Thank you to all who participated. We are so grateful for your support and inspired to take our work to the next level. Thank you to the crews who went above and beyond behind the scenes to put on an epic show. They worked extra hard to make sure that there was no waste backstage and that every bit that could support us was saved. Hopefully we can do it again next year!